As the founder of the longest-lasting of all the Hellenistic kingdoms, not only was Ptolemy I an able soldier and ruler, he was also an historian and, in Egyptian eyes, a living god. His own inclination and experience facilitated continuous acts of self-creation in a variety of forms, whether literary, dynastic, artistic, or political. His work on Alexander and his campaigns was used by the later Alexander historians, and was one of Arrian’s major sources for his Anabasis. 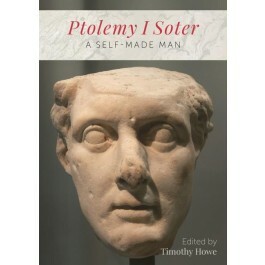 In the pages of his own history, Ptolemy constructed a self-portrait characterized by military courage and deep friendship with Alexander. As ruler of the Egyptian kingdom, Ptolemy experienced an elevated model of kingship very different from the Macedonian one: he consciously embraced the divinity of the Pharaoh, a construct that had little to do with the real man who wore the crowns. The chapters in this book, written by field experts in numismatics, gender, warfare, historiography, Egyptology and religion, examine the many ways in which Alexander the Great’s most successful Successor consciously made his own legacy.